Enterprise Imaging: The whole is greater than the sum of the PACS. When picture archiving and communication systems (PACS) were introduced in the 1980s, it was a major step forward for healthcare. For the first time, a clinician could simply open a digital image file at a workstation rather than sending someone to search for a piece of film in a file room down the hall. Today, those same systems often impede holistic patient care collaboration between departments when patient data is scattered across multiple PACS. Healthcare is at another turning point in history. So how did we get here? In most healthcare organizations, digital imaging has been adopted at a departmental level – typically led by radiology. As the first to go digital, the radiology department benefited from the time savings and superior image access that PACS offered as compared to using physical image files. Other departments took notice. One by one, they followed suit with PACS solutions of their own – designed to meet their specific needs. As a result, the use of digital data storage grew organically across the organization. However, these separate and siloed systems are often as compatible as oil and water when it comes to communicating with each other. Managing a healthcare organization became more complex than ever, with data residing in numerous systems and at multiple sites. Each of the PACS had different dedicated workstations, viewing applications, and service and maintenance contracts. 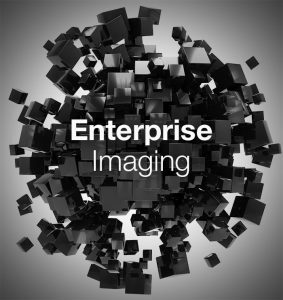 Then came the enterprise imaging revolution. Enterprise imaging brings the data from disparate PACS together, transforming it, and making it accessible to anyone, anywhere, anytime. 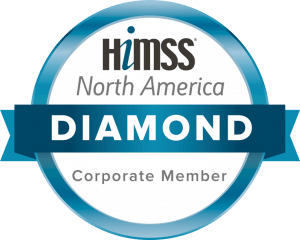 Through a user-customizable interface, an enterprise-level solution addresses the needs of all departments, allowing healthcare organizations to standardize applications and workflows – ultimately becoming less department-centric and more patient-centric. In addition, with enterprise-level data access, there are also opportunities for data-based insights that can lead to business efficiencies. It adds up to better care quality and healthier business. With today’s dual focus on care quality and expense reduction, it’s more important than ever to adopt an enterprise imaging strategy. If you’re ready learn how you can solve the equation for a single enterprise imaging solution, contact us today.